Do you take the train to get to Epworth? Heads up - there will be major works between April 1st and April 23rd on some lines. At 35 weeks, Laura had just finished work the day before and still had a list of things to organise before her baby arrived. Both she and her husband, Ben were shocked that she had gone into labour, seemingly right on cue. How good is it to feel childlike joy when plunging into the water on a sunny day? Such a simple pleasure brings deep happiness – a rare treat for those of us wrangling life’s daily chores. Add a few waves and a friend or two, and we can feel something close to bliss. In a bid to shake ourselves out of a rut of responsibility, we hereby present Melbourne’s coolest swimming spots! Walking is a great source of physical activity that’s inclusive because of the range of difficulty options, inclines and distances available. And though Victoria is a small state, it’s abundant when it comes to walking tracks that pay dividends in natural beauty, views and charming picnic spots. It can be a struggle to eat well when you’re going out with friends or grabbing a quick dinner on the way home from work. But whether it’s some Kohlrabi Kimchi you’re hankering for or just a well roasted spud, this list will have you covered next time you want to treat yourself to a superfood spread, or grab a healthy bite to eat on the go. Things are changing really quickly for Alex and Jane, whose bubs, Charlotte and Lola are now 18 weeks old. Both Alex and Jane have been on very different journeys with their bubs so far, but both can agree that the time has absolutely flown and they understand when parents say "where has my baby gone?" You may recall the incredible story of Jane and Alex, sisters who gave birth on the same day at different Epworth hospitals. We hear how they’re going six weeks on. This remarkable story is about a team member and the wonderful volunteer work she’s been doing with Interplast. Last month distance interactive online learning sessions for Pacific Islands physicians, surgeons and nurses commenced with the support of Epworth Geelong Gastroenterologist, Associate Professor Chris Hair. Ian Rea is not your average rehabilitation patient. At 61, he exercises an average of four hours every day. He walks; is a regular deep water runner; swims; rides and runs. And that was after his back operation! Dr Williams died suddenly and unexpectedly at his home in Torquay on September 12th, a week before his 58th birthday. He was a much loved, valued and trusted doctor and will be missed by many, especially his immediate family, to whom he was completely devoted. Epworth Geelong welcomed its first group of Deakin University students on Monday 5 September. Twelve undergraduate nursing students, all in their third year, commenced their final rotation with our Geelong campus. The week before 75-year-old Moolap resident Valerie Golding felt some niggling chest pains, she had climbed a mountain at Shoal Bay in NSW and played her regular 18 holes of golf. In what has been hailed a major success, close to 3000 people toured the new Epworth Hospital in Geelong on Sunday at the Community Open Day. The event was staffed by a team of 50 incredible volunteers who were run off their feet from 10:00am until after 3:30pm. 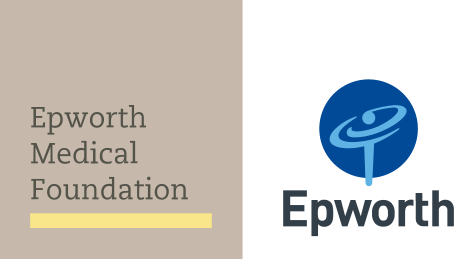 Epworth Geelong has not yet opened its doors to patients but the hospital is already making a positive impact to the Greater Geelong community, having awarded more than $21 million to local manufacturing and construction trades and suppliers.